WASHINGTON — Scientists at the U.S. Naval Research Laboratory (NRL) discovered a new method to passivate defects in next generation optical materials to improve optical quality and enable the miniaturization of light emitting diodes and other optical elements. 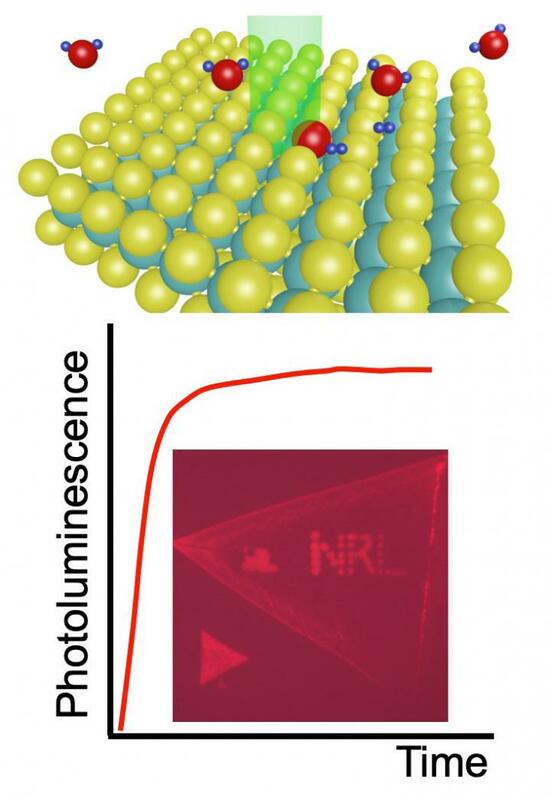 The NRL scientists developed a versatile laser processing technique to significantly improve the optical properties of monolayer molybdenum disulphide (MoS2) — a direct gap semiconductor — with high spatial resolution. Their process produces a 100-fold increase in the material’s optical emission efficiency in the areas “written” with the laser beam. The research team includes Saujan Sivaram, Ph.D.; Aubrey Hanbicki, Ph.D.; Matthew Rosenberger, Ph.D.; Hsun-Jen Chuang, Ph.D.; Kathleen McCreary, Ph.D.; and Berend Jonker, Ph.D., from the NRL Materials Science and Technology Division, and Glenn Jernigan, Ph.D., from the NRL Electronics Science and Technology Division. Sivaram and Rosenberger hold National Research Council (NRC) fellowships at NRL. Chuang holds an American Society for Engineering Education (ASEE) fellowship at NRL. The research results are reported in ACS Applied Materials & Interfaces; DOI: 10.1021/acsami.9b00390.